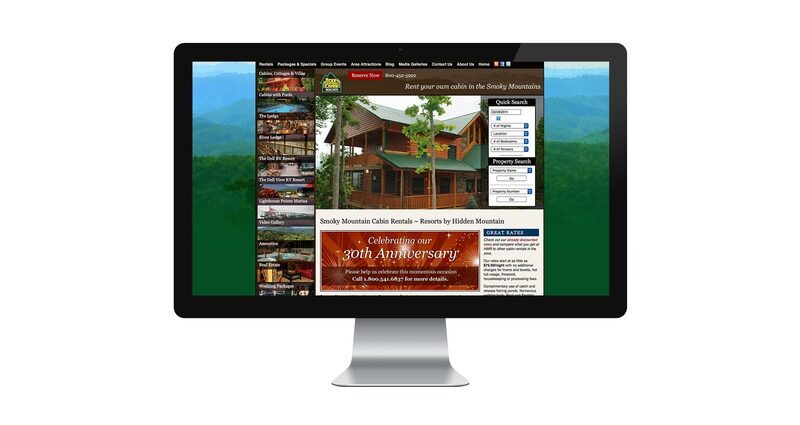 Hidden Mountain Resorts in Tennessee’s Smoky Mountains offers cabin vacations all year round. The resort was suffering from a drop in online bookings after a website redesign which introduced new functionality but failed to get the interface design right. 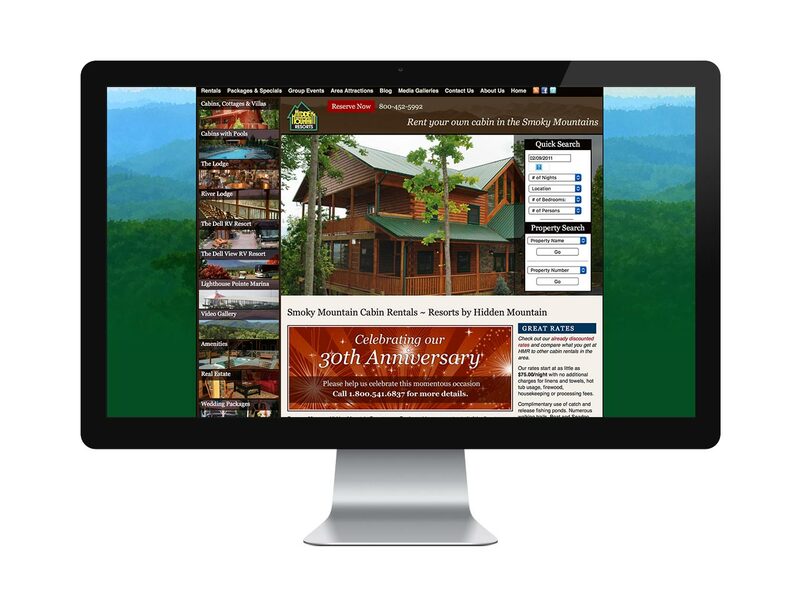 3W Studios came in with a quick skin revision that kept the site intact, retained all the functionality that had been added, but left visitors feeling more comfortable about the resort and more able to find what they wanted on the website. Now that the features and facilities of the resort are no longer hidden, online bookings are climbing back up as a result.